As with many kinds of investment, locking in consistent returns with MTGFinance is largely about figuring out the best possible methodology and using that to identify one great opportunity after another. You might get out ahead of the crowd one time, but can you do it consistently to the benefit of your collection and bank account? 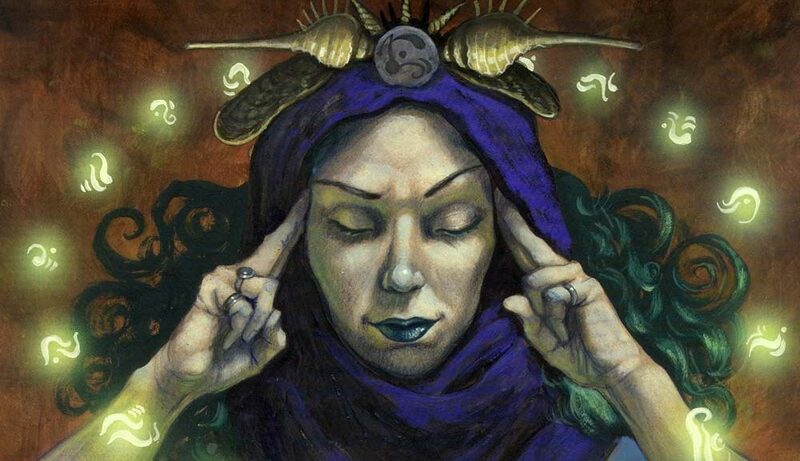 The signal to noise ratio in MTGFinance tends to be as high as anywhere else a bunch of pundits are pushing their latest ideas and trying to make deadlines, so adding some rigor to your activities can really help you cut through the latest garbage narrative and ramp up to your A-game. 2016 and 2017 have produced dramatic gains for me (50%+ per annum, with a totally self-sustaining investment pool) and here are a few of the core concepts that have really helped me lock into a series of winning moves. If you’re reading this you clearly have some interest in MTGFinance, but if you want to make more or save more playing Magic, you’re going to need to get serious. The thing is, being serious about your activity doesn’t necessarily mean you spend far more time, money or focus on your hobby. It starts with deciding to make a point of getting better at this, naming a few simple goals and nailing down the likely steps from Point A to Point B. Maybe you want to acquire a few new Modern or EDH decks at a discount. Maybe you’re trying to go Pokemon style and catch ’em all on the Masterpieces, Expeditions or the Power 9. Maybe you’re a tournament grinder that just wants to keep on top of getting into and out of key format staples to minimize the expense of staying on the circuit. Whatever your goals, deciding on an amount of time and money to spend on your efforts sets you up for success far better than haphazardly checking in now and again with no clear sense of purpose. Human nature is a fickle spirit guide if you’re trying to invest or save money wisely. Your impulse will often be to jump on top of whatever the latest advice is you read, especially if you see it mentioned more than once. The thing is, you need to remember that MTGFinance is not Pokemon GO, and you don’t need to be out there trying to chase down every obscure spec. You also don’t need your specs to be original ideas, despite the pressure on the content publishing side to provide all of you with a constant barrage of fresh content. More often than not, the best ideas are solid bets for weeks or months and most of the community ignores them. It’s easy to get distracted by the latest article or tournament results, but the fact remains that EU arbitrage is still the best idea going in MTGFinance right now and too few of us are following up on it. I’ve been buying dozens of Masterpiece Sol Rings for between $70-$110 over there for months, selling them at 50-60% profits (after all expenses and fees!) and reinvesting in more copies to import. This would never have been possible if more people admitted to themselves when I first brought it up that it was near the top of the heap of available options, but here we are. On any given day there are dozens of options, but you should aim to choose just a handful of your best ones and then go deep if you want to maximize your results. Picking specs is an entire article unto itself, but generally speaking you want to focus on high demand/low supply cross-format staples that are undervalued vs. their imminent potential. Sol Ring is the literal best card in EDH/Commander and the Masterpiece version showed every sign of being a winner as early as December, when a major gap opened up in the price and inventory levels between the US and Europe, where EDH is clearly less dominant. Testing your investment thesis should never be about proving that you are correct, or better than the rest of your peers. It should be about figuring out if the facts bear out your assumptions, putting the facts to work and assessing the results with a clear mind and an attention to detail. As such you should always be willing to test your ideas against your peers and be honest with yourself if their feedback suggests you might be better off putting your money elsewhere. Too often we get caught up in our own personal success narrative, and forget that the occasional reality check may bruise the ego but expands our pockets. Also, failure is a part of the process. You’re going to be far less efficient in your first year of activity, so try to learn from your mistakes and move on armed with positivity and a better sense of what works. A big part of getting better at MTGFinance is making sure that you get access to the best information before everyone else. In terms of daily price movement, MTGStocks, MTGPrice, TCGPlayer, Ebay BINs and completed transactions, as well as vendor prices in Europe (MagicCardMarket) and Japan (Hareruya & TokyoMTG) are essential reading. One of the key benefit sof the MTGPrice Pro Trader service is a 48 hour headstart on everyone else that eventually reads our buy and sell calls. If you haven’t signed up for modestly priced subscription yet, you should really consider it. Spending a tiny amount on MTGPrice, SCG Premium and QS ended up paying for itself so quickly that it pulled me deeper into this side of the hobby a few years back. These days I have trouble understanding why anyone that spends $1000 or more on Magic every year doesn’t have at least one of those subscriptions nailed down. The MTG Fast Finance podcast, Brainstorm Brewery, Cartel Aristocrats and MTGGoldfish are also essential listening. Tracking daily card price and inventory level movements with nearly a dozen major vendors is also a key service on this site, and you should also be on top of MTGStocks, TCGPlayer, Ebay, and MagicCardMarket at the minimum. You should also be supplementing your predictive skills by paying attention to the latest articles by savants such LSV, Sam Black, Pat Chapin, Brad Nelson, Shaun McClaren, Todd Stevens, and Caleb Durward, just to name a few. Remember, some pros are good at playing the game, while others specialize in probing the dark corners that others haven’t yet caught on to yet. A list of the best of the brewmasters will help keep you ahead of the curve and looking at cards with strong potential. Finally, EDH.rec and MTGTop8.com will keep you on top of which cards are actually seeing play, and to what extent they are likely to continue doing so. The majority of the MTGFinance community falls squarely in the lurker camp; folks who read articles and track prices but rarely interact with their peers. If that sounds like you, consider making a change. The more people you talk to, the more deals will come across your desk (on both the buy and sell side) and the better you will do overall. I couldn’t be puling off cross-border arbitrage in five countries around the world without having first built some basic, though mutually beneficial, relationships. If you aren’t active on Twitter and Facebook and Reddit, you are likely missing out. Sure there’s plenty of garbage content out there, but there’s also the guy that needs to make a car payment and knows you’re always in the market to beat buylist by 10% on Revised duals. Visibility will boost your action, so get chatting. Positive EV Boxes: Most new Standard legal booster boxes will demonstrate negative EV within the first two weeks of release. This is because while a set is in print, any spikes in current cards from the demand side will be easily overcome by surging supply and the motivation of vendors to crack boxes for singles anytime the EV approaches or exceeds the wholesale cost of the box (usually in the low $70s USD). Another factor is that flat lined player growth is ensuring that boxes from Return to Ravnica forward have shown very limited gains vs. their bargain basement retail availability during peak supply around $90. So is sealed dead? Not really, you just need to know where to look. 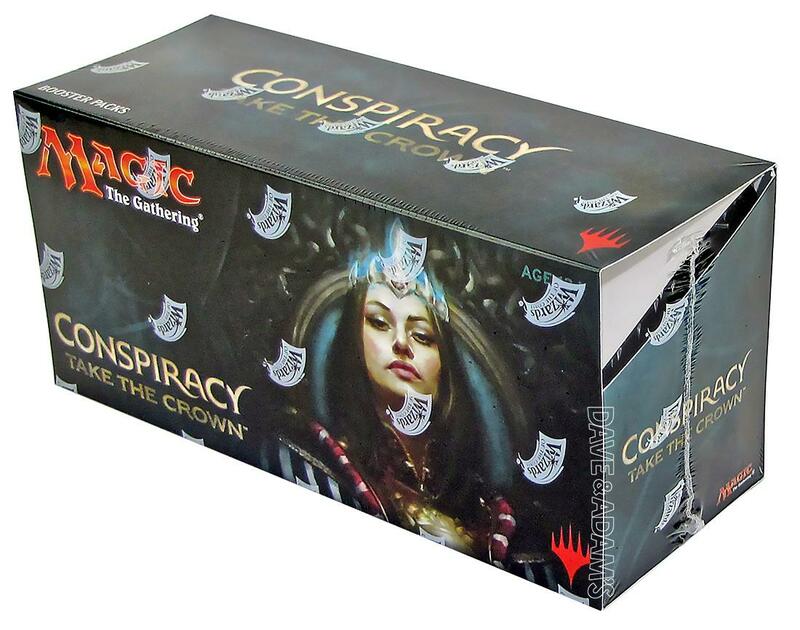 Just in the last year Conspiracy 2 and Commander 2016 are both sets that represent positive EV, due to more limited print runs and lingering narratives from prior product iterations that made people assume they couldn’t be good buys. I’ve also gotten into the habit of only buying Russian boxes of Standard legal sets. These boxes are often available early on in a set’s release at nearly the same price as English boxes, but the upside on a key Modern or EDH foil can easily justify the tougher time you may have in unloading the Standard only staples. Russian KTK boxes are now going for nearly twice what they were available for in the fall of 2014. Sales & Coupons: Part of your research process should be to get on every relevant mailing list from the Vendor Team vendors on MTGPrice and elsewhere so that you know what sales and coupons are available. When you buy cards from many vendors they will often include a discount coupon for a future purchase, and you should make a point of stashing those away and reviewing your options when it comes time to go deep. Ebay is regularly providing a $15 off $75 purchases once or twice a month. That’s just free money, so be sure to plan your purchases around it where it makes sense. Post a Buylist: Forums for MTGPrice and QS allow you to post buy and sell threads, including any cards you are looking to acquire. Post a standing order for 10 copies of As Foretold at a $1.50 below TCG Low and someone might just bite. New sites like CardSphere and CardRocket also support this kind of action, though they haven’t yet hit the critical mass necessary to guarantee instant success. Making clear to your local playgroup or store crowd that you are willing to beat buylist (off site of course) provides options that will one day make you money. Cross-Border & Currency: If you aren’t paying attention to currency exchange changes, which formats are most popular in each region, and overseas card prices, you’re missing out. EDH cards are often cheaper in Europe and Japan and that’s a big source of MTGFinance gains right now as that format continues to grow. Canadian cards are often priced at US pricing with little regard for the 20-35% exchange rate if you know where to look. Mexico is a massive bulk bin of value if you’re willing to do the legwork to find a contact. Limit Your Small Ball: When you start doing the math on the time to ship 100 $1 cards that “spiked” to $2 and compare it to buying and selling a single $100 card, the results aren’t pretty. Don’t get caught up in buying a bunch of small stuff when you can keep it simple and profit. I still put money into 50-100 copies of bulk rares like Chasm Skulker and Hardened Scales on occasion, but only if I think the buylist exit is likely to be worth the effort. A collection of bigger ticket cards are likely to act as better bait for future deals as well. Just lately I’ve been strongly considering trading my SP Unlimited Black Lotus for a pile of growth specs from the EU, and the likely bonus I’ll get for that move will almost certainly make it worthwhile. Ultimately, you’ll get out of MTGFinance what you put in, so what are you willing to give? James Chillcott is an investor, entrepreneur, and long time Magic player, as well as the CEO of ShelfLife.net, the Future of Collecting. Follow him on Twitter at @MTGCritic. 1. In your eu arbitrage efforts, are you including foreign languages? Or are you sticking to strictly English copies? Foreign language copies are much more common in EU regions. 2. Trump’s upset the hell out of many EU countries with his recent actions, and I know quite a few merchants/sellers that are pulling out of dealing with Americans as a result, so this makes any dealings there hard to establish. Has this affected you at all? Also, how long did it take to establish your cross border connections? 3. Do you not like MTGgoldfish as a finance source? The site is really prominent and are used by many to judge the market. If not, care to explain why it is inferior? Overall, this article is a good starting point for beginners. 1) English copies are plentiful on MCM actually. English inventory is often as deep or deeper than TCG. 2) Zero impact from what I’ve seen. Be friendly, prove stereotypes inaccurate, make it valuable for your trading partner, and I think you’ll do just fine. 3) MTGGoldfish doesn’t actually provide much on the finance side beyond the occasionally excellent EV article by Seth. The rest of their content is pretty general and their prices are just pulled from TCG like everyone else. Site is great, just not essential for finance action. I’m on the other side of the pond and was never able to find someone in the US to sell cards from Europe to. This left me with a different approach: being on Twitter following not only James and others, but also MTGStocks (which updates every morning here around 8:30am) offers me a window of about 24h to buy a card that already spiked. My last buy were some Fluctuators for about 3€ (including shipping), which I unloaded quickly for about 10€. I know, it is not the biggest investment, but I am not trying to make much of a profit. Just want to play CDR for free and grow my collection. When it comes to long-term specs, I almost purely focus on CDR. Jason Alt has great insight and by engaging in conversations with him, I was able to learn quite a bit to make my own calls ahead of others. Now I have to wait and see if it pays off in the end.